One of my favorite parts of blogging is sharing small businesses with readers. There are so many talented people out there! I especially love sharing nautical finds! Today I am featuring MW Coastal Goods out of Mystic, Connecticut. Side note: Mystic Pizza is a must see movie (Julia Roberts back in the day, Matt Damon in his first movie role). 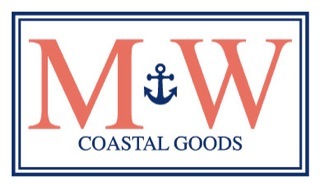 MW Coastal Goods was started by husband and wife team Mike and Wendy (with their sweet yellow lab Huck by their side) out of their home studio in Mystic. 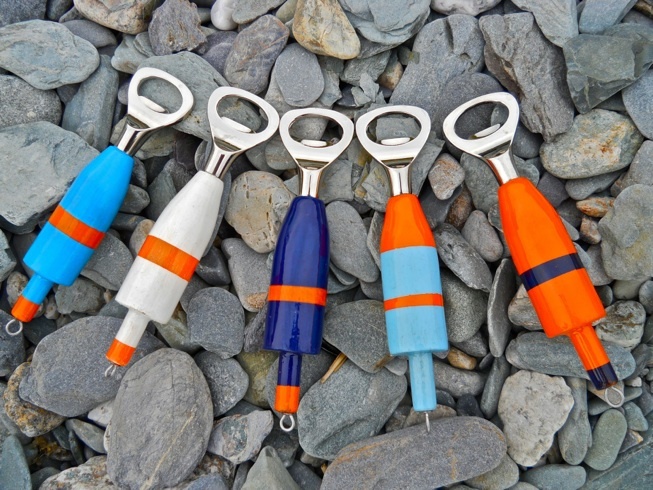 Mike and Wendy make fun buoy and fishing lure bottle openers! They are perfect for a wedding party, house warming, bachelor/bachelorette, or birthday party! 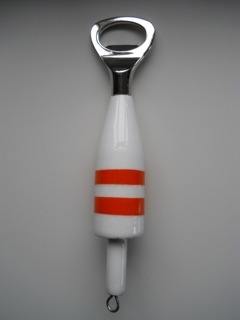 The classic openers are $30 and custom ones vary based on the logo, etc requested. 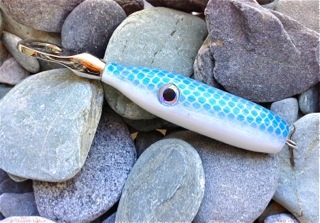 Custom colors and stripe patterns are available. These are so cute!! I love the custom ones! 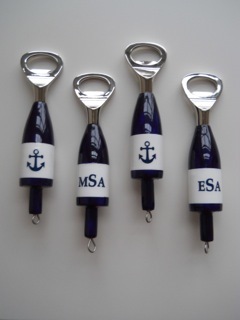 These are so cute and back for great gifts! 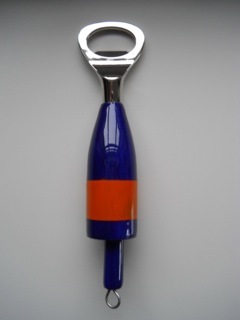 Those have to be the cutest bottle openers ever!